Brent Calvin is College of the Sequoias’ new president, the college’s board announced March 6. Calvin will take the official role of superintendent/president, overseeing the operations of the Sequoias Community College District and its campuses in Visalia, Hanford, and Tulare. Calvin has worked at the College of the Sequoias for 16 years, and previously served as an interim superintendent/president in 2011, until the hiring of Stan Carrizosa, the college’s current leader. 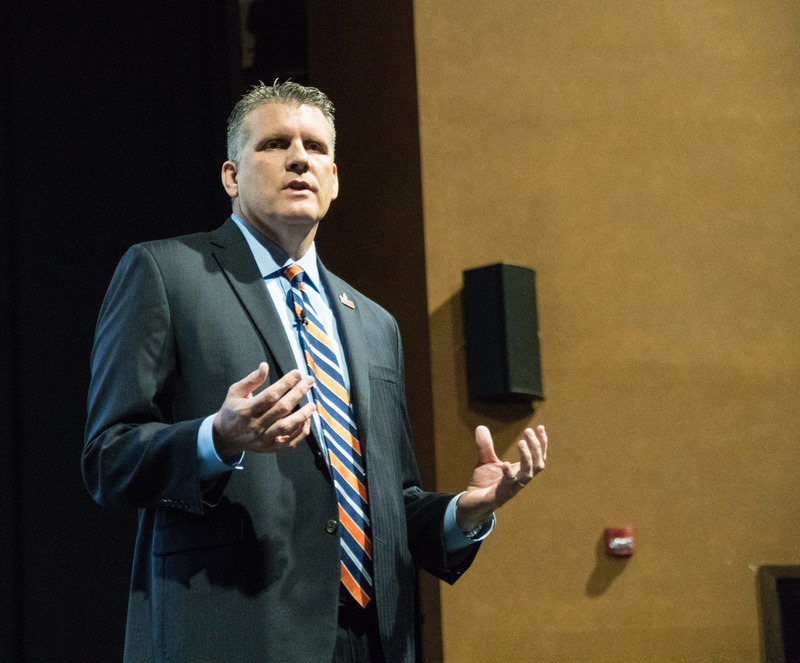 He currently serves as the COS’s Vice President of Student Services. Board members praised Calvin after their pick was announced. “I have spent a lot of time on this board, and have watched you move through the ranks. You have done so many great things at our college, so I know that will continue,” Lori Cardoza, a College of the Sequoias board member, said. Calvin said that he believes his time at the college has afforded him a unique perspective. “I think I do have a unique perspective at the College of the Sequoias — first because I’ve worked here as long as I have. That is fairly unusual in our system, for someone to work at an institution for 16 years, then serve as the superintendent/president,” Calvin said at the March 6 board meeting in which his appointment was announced. According to a biography provided by the college, Calvin earned a Business Administration Bachelor of Arts degree from CSU Fullerton, a Master’s in Business Administration from CSU Dominguez Hills, and a Master’s in Education Leadership from Northcentral University. During a forum held for the college’s presidential finalists, Calvin explained that he fell into his position after leaving private industry. Calvin previously owned an engineering firm in Southern California which he sold to URS Corporation, a San Francisco-based engineering and construction firm. Part of the sale was a noncompete agreement which prevented him from working in any of the industries that URS participated in for five years. After receiving an opportunity to work at College of the Sequoias, Calvin said that he promised to work for the college for five years — but expected to return to private industry. It didn’t work out that way for him. “I got out on this campus, I fell in love with our students, I fell in love with my coworkers — I fell in love with the entire environment of the College of the Sequoias, and I knew within a month that I was going to be here longer than five years,” Calvin said. 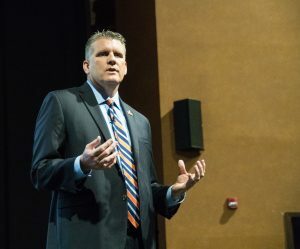 “I want to be a leader that you’ll be proud to have represent you, the leader that you can count on to understand the topics that face our district and be able to take a lead in addressing them; and, third, and most importantly, a superintendent that always makes student success a priority,” Calvin said at the forum. Calvin’s contract, which was unanimously approved by the district’s board, calls for a three-year term. During that term, Calvin would receive a $225,000 per year salary, according to the document. The college was assisted in the search process by two outside contractors — Community College Search Services and Dr. Eva Conrad — in addition to faculty, staff, management, and community members that served on multiple interview panels.